Stearns-Shuler legislation would force states to recognize each other’s permits. A bill promising the most significant expansion of national gun rights since the current gun control regime began with the Handgun Control Act of 1968, passed the House 272 to 154 November 16 at 5:50 p.m. after two days of debate. “The right to defend yourself and your loved ones from criminals is fundamental, and it should not be extinguished when you cross a state border,” said Rep. Clifford B. Stearns (R.-FL), who lead the fight with his co-sponsor Rep. J. Heath Shuler (D.-N.C.), a leader of the caucus of moderate Democrats known as the Blue Dogs. “H.R. 822, the National Right to Carry Reciprocity Act, recognizes this important fact by establishing the interstate recognition of concealed carry permits in much the same way driver’s licenses are recognized,” said Stearns. “Although 49 states issue these permits and many have reciprocity agreements with other states, the lack of uniformity makes it hard for law-abiding permit holders to know for sure if they are obeying the law as they travel from state to state,” he said. “This legislation will simply make it far easier for law-abiding permit holders to know they are in compliance with the law when they carry a firearm as they travel,” he said. Despite the mix of Democrats and Republicans voting for the bill, there have been critics. On the Left, Sen. Scott P. Brown (R.-Mass. ), who won a special election to succeed Edward M. Kennedy Sr., a ferocious opponent of gun rights after two of his brothers were cut down by assassin bullets, sent a November 3 “Dear Friend” letter to Bay State mayors assuring them that he would oppose the bill if the matter came before the Senate. Brown, who was endorsed and strongly supported in his election by the National Rifle Association, echoed the arguments of other liberals when he called the bill a violation of states’ rights. Cox said the reciprocity for regular people should be as easy as the current practice between states for recognizing carry permits held by armored car guards. “People are not immune from crime when they cross state lines. That is why it is vital for them to be able to defend themselves and their loved ones should the need arise,” he said. Another gun rights organization, Gun Owners of America, had concerns about the bill, preferring H.R. 2900, sponsored by Rep. Paul Broun (R.-Ga.). One problem with H.R. 822 is that it destroys “Vermont Carry,” said John Velleco, GOA’s director of federal affairs. The problem is that because there is no permit, there is nothing for another state to recognize, he said. Broun’s bill would allow the Vermont driver’s license to suffice, he said. Another problem is that constitutionally, the Stearns-Shuler bill relies on the Commerce Clause, and the bill’s authority is grounded in the act of transporting guns across interstate lines being classified as commerce, he said. This stretch opens the legislation to court challenge. The Broun bill is grounded in the Second Amendment, he said. “H.R. 822 would certainly benefit many Americans, although that number represents only a small fraction of all gun owners. But the bill has several deep flaws that could be fixed by Broun’s legislation,” Velleco said. To mitigate to flaws in the Stearns-Shuler bill, GOA supported an amendment by Rep. W. Robert “Rob” Woodall III (R.-Ga.), which would assert that existing arrangements between states, such as 40 states have with each other, would supersede federal standards of reciprocity regulations, he said. “This will help to ensure that states are not deterred from seeking out reciprocity agreements and it acts as a check against future federal abuse of the nation’s gun laws,” he said. Now it is the Senate’s turn to act. All eyes are Sen. John R. Thune (R.-S.D.). Thune attempted to gain Senate approval for reciprocity for national concealed carry in the last session of Congress with legislation very close to the language in the Broun bill. Ultimately, however, Thune fell two votes short of the 60 votes he needed to end a Democratic filibuster. 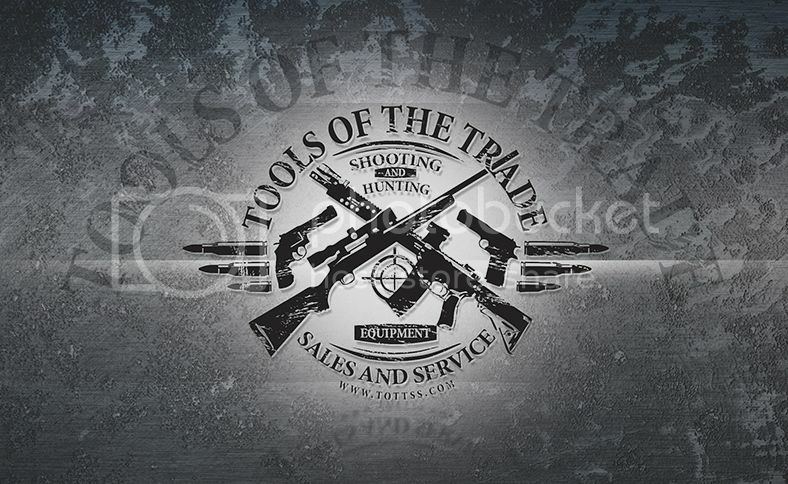 PRODUCT: ALL Thompson Center Venture Rifles manufactured prior to October 28, 2011. DESCRIPTION OF THE HAZARD: During an internal technical review, Smith & Wesson identified a condition that may exist with the sear supplied with some rifles that would allow the rifle to fire without the trigger being pulled. In the interest of consumer safety, we are initiating this recall to allow for the prompt inspection and, if necessary, the repair of each rifle. 1-800-713-0356. If your serial number does not fall within the list of affected serial numbers, your rifle is not part of this recall. REMEDY/ACTION TO BE TAKEN: STOP USING YOUR RIFLE. Any unintended discharge of a firearm has the potential to cause injury or death, and we ask that you stop using your rifle until we have an opportunity to inspect the sear to make certain that there is no condition which will allow the rifle to fire without the trigger being pulled. To facilitate the inspection and, if necessary, repair of your rifle, please contact Smith & Wesson’s customer service department to receive instructions and a prepaid return label for the return of your rifle to Smith & Wesson. When you return your rifle to Smith & Wesson, be sure to attach the completed information card received from Smith & Wesson, so that your rifle can be returned to you as quickly and efficiently as possible. VERIFICATION OF CORRECTIVE ACTION: When your rifle is returned, you should note a punch dot on the trigger assembly. See the photograph below. This punch dot is confirmation that your sear has been inspected and the hazard has not been found or has been corrected. When your rifle sear is returned, you should also note a red checkmark on the label on the outside of your box. See the photograph above. This checkmark is further confirmation that your sear has been inspected and the hazard has not been found or has been corrected. CONSUMER CONTACT: Please contact Smith & Wesson directly at 1-800-713-0356, or at venturerecall@smith-wesson.com to arrange for the inspection and repair, if necessary, of your rifle. ArmaLite’s Mod 1 carbine started as a .223/5.56mm carbine built around a revolutionary one-piece upper receiver/rail system with exclusive detachable side and bottom rails. ArmaLite’s SPR Mod 1 6.8 is especially well-suited to hunting. It is powerful enough to meet the minimum energy requirements of many states for taking medium sized game such as deer. At the same time, the 6.8mm is lighter than the 7.62×51, reducing the weight of ammunition carried into the field. As part of the AR-platform family, this carbine is also more versatile and ergonomic than traditional hunting models. The Mod 1 6.8mm is built with the ArmaLite-developed mid-length handguard and gas system to provide the best in form and function. ArmaLite’s SPR Mod 1 7.62X39mm provides all the flexibility of the Mod 1’s one piece upper receiver/rail system but now for the world’s most available cartridge. The original AK-47 was built to use this cartridge. Now, enthusiasts of the 7.62X39 won’t have to settle for less than the best: a true ArmaLite carbine. The ArmaLite designed mid-length handguard and gas tube technology provides an optimal gas pulse to power the 16″ system so reliability is never an issue. The SPR Mod 1 is forged, one-piece upper receiver/rail system with exclusive detachable side and bottom rails. In true ArmaLite fashion, the SPR Mod 1 is like no other on the market. With other one-piece systems, you’re stuck forever with the rails you get at purchase, and stuck with their limits. But ArmaLite knows you and your firearm often have more than one mission, and you want options. ArmaLite gives you just that. The SPR Mod 1’s three o’clock, six o’clock, and nine o’clock rails are detachable. That’s right, you can change your 1913 rails to fit your changing needs for sights… lights…lasers…grips…or swivels. ArmaLite takes that versatility even further. Each SPR Mod 1 comes with extra rails standard, at no extra cost. We give you a 1913 rail with quick detachable sling swivel hole. Each rifle comes with a low insert for when you need a bare rail with a low profile. There’s also a plain insert with a quick detach sling swivel hole. And there is a half plain, half Picatinny rail as well. Changing your rails…your add-ons…and your SPR Mod 1… is as easy as turning a torx wrench. The SPR Mod 1 typifies the “ArmaLite Standard of Excellence.” With us, quality comes standard. There’s no extra charge for: the SPR Mod 1’s chrome lined, chrome moly vanadium steel barrel; its two-stage tactical trigger; the patented, extra strength steel bolt assembly; or the hard coated finish. These are all things that the other companies consider options at an added cost. The introduction of the new ArmaLite SPR Mod 1 is truly a new chapter in our history of innovation and our dedication to the quality you deserve. Tools of the Trade is no a dealer for STAG ARMS, please feel free to contact us for quotes. PRODUCT: Thompson Center Venture Rifle. DESCRIPTION OF THE HAZARD: During an internal technical review, Smith & Wesson determined that some of the sears used on Venture rifles produced from August 1, 2011 to October 28, 2011, may not have been manufactured to specification. Because the sear is an important part of the firing mechanism, we are asking that all of the rifles produced during this time period be returned to Smith & Wesson so that the firearm can be inspected by our technicians to ensure that the rifle operates in a safe and appropriate manner. DESCRIPTION OF THE PRODUCT INVOLVED: This recall applies only to Venture rifles manufactured from August 1, 2011 to October 28, 2011. To determine if your rifle is affected, please reference the serial number list located at www.smith-wesson.com/venturerecall or by calling Smith & Wesson directly at 1-800-713-0356. If your serial number does not fall within the list of affected serial numbers, your rifle is not part of this recall. REMEDY/ACTION TO BE TAKEN: STOP USING YOUR RIFLE. Any unintended discharge of a firearm has the potential to cause injury, and we ask that you stop using your rifle until we have an opportunity to inspect the sear to make certain that there is no condition which will allow the rifle to fire without the trigger being pulled. To facilitate the inspection and repair, if necessary, of your rifle sear, please contact Smith & Wesson’s customer service department to receive instructions and a prepaid return label for the return of your rifle to Smith & Wesson. When you return your rifle to Smith & Wesson, be sure to attach the completed information card received from Smith & Wesson, so that your sear can be inspected and repaired, and returned to you as quickly and efficiently as possible. VERIFICATION OF CORRECTIVE ACTION: When your rifle sear is returned, you should note a punch dot on the trigger assembly. This punch dot is confirmation that your sear has been inspected and the hazard has not been found or has been corrected. Buck Mounted Camera: Fighting, Running, etc. That was the Barack Obama on the day he was inaugurated. But now the President, who raised fraud to an art form, has issued a regulation under the Freedom of Information Act (FOIA) directing government agencies to lie to the public. Rather, the agency is directed to lie. We in the gun community have faced an analogous situation when Attorney General Eric Holder and other high Justice Department officials lied about their knowledge of Operation Fast and Furious — and the department’s role in placing guns in the hands of Mexican drug cartels. But even this falls short of a written regulation requiring bureaucrats to lie. Why doesn’t it surprise us that the Obama Administration has come to this? Under special procedures, Congress can disapprove of these regs during a 30-day period. But under Chadha v. INS, Obama can veto this disapproval. Thank you so much for communicating with your Representatives last week in regard to Attorney General Eric Holder. The day after we asked you to contact your Congressman, the number of Representatives calling for Holder’s resignation officially doubled. And since then, the number of Congressmen calling for Holder’s ousting has more than doubled again — the total number now reaching 17. They are listening to you on Capitol Hill! While Rep. Joe Walsh (R-IL) was the first congressman to issue this clarion call, the list of Republicans joining this choir now includes: Gus Bilirakis (FL), Dan Burton (IN), Quico Canseco (TX), Blake Farenthold (TX), Trent Franks (AZ), Paul Gosar (AZ), Vicky Hartzler (MO), Tim Huelskamp (KS), Duncan Hunter (CA), Lynn Jenkins (KS), Raul Labrador (ID), John Mica (FL), Devin Nunes (CA), Mike Pompeo (KS), Dennis Ross (FL) and Allen West (FL). If your Congressman is not listed above, please continue to urge your Representative to sign his or her name to this list. ACTION: Please urge your Congressman to support adding language to the upcoming Continuing Resolution which defunds the ability of the Administration to enforce the “government can lie to you” regulation. Also, please urge him or her to call for Eric Holder’s resignation.